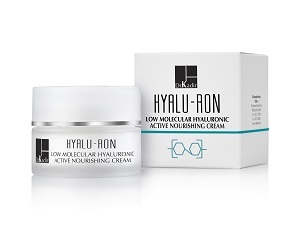 Hyaluronic acid (or hyaluronan) is a simple compound and yet one of the most versatile molecules in our body. It was long mistaken for an inert filler of the extracellular space. It was assumed that its functions are maintaining the balance of moisture, lubrication of joints and filling spaces. In recent decades, it has been discovered that hyaluronic acid and its fragments generate messengers for various signal of biological processes within the cells. In these processes, various receptors are involved. There are about 15 g of hyaluronic acid in a 70 kg individual, of which 5 g is replaced daily due to a rapid degradation. 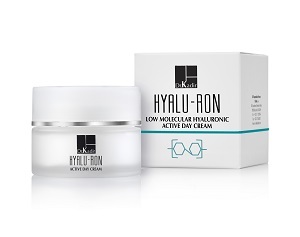 Hyaluronic acid is present in different tissues such as joints, connective tissue, eyeball, gums and obviously the skin. The highest concentration of hyaluronic acid is found in the skin (50% of total hyaluronic acid in the body). Hyaluronic acid is a component of the dermal matrix (the extracellular substance of the dermis) it forms the gel in which the collagen and elastin fibers are embedded. Hydrated hyaluronic acid can contain up to 1000-fold more water than its own weight. The amount of hyaluronic acid in the skin is affected by extrinsic and intrinsic aging process. Exposure to the sun accelerates degradation processes of hyaluronic acid due to free radicals formation. In unexposed areas, the degradation is mainly enzymatic. In aged skin hyaluronic acid disappears dramatically from the epidermis. In the dermis, the major age-related change is the increasing interactions with other tissue structures and the loss hyaluronic acid availability. Although the specific mechanisms involved in the diverse signaling of hyaluronic acid are still poorly understood, it is known that hyaluronic acid can control many biological effects including cell adhesion, cell migration and regulation of immunological and inflammation processes. It is also known that these biological effects depend on hyaluronic acid molecular weight and that different molecular weights have different biological effects. It was found that low molecular weight hyaluronic acid (LMW HA) provides better penetration abilities than larger sized hyaluronic acid. LMW HA influence biological processes such as epidermal cell differentiation, reinforcing certain types of interactions between cells in the epidermis (tight junctions). These interactions are weaken and decrease with age. LMW HA affect the tissue regeneration and reduces wrinkles. 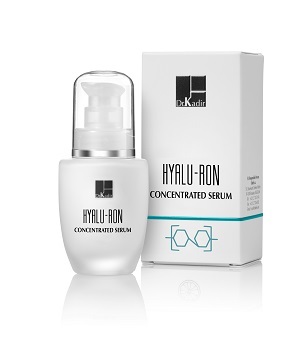 Hyalu-Ron series contains hyaluronic acid produced by biotechnological processes from raw materials of vegetable origin. The products contain hyaluronic acid of various molecular weight. Each size of molecule has a different effect on the tissue. - Strengthening the skin's natural defenses by inducing the release of the beta-defensins (anti-bacterial peptides). - Improving the biomechanical properties of the skin – firmness. - Regeneration of matrix components (stimulation of collagen and hyaluronic acid synthesis) and minimizing wrinkles. Aquaxyl - a new generation of active ingredients affecting the epidermis and the dermis. By cosmetogenomic mechanism, the active substance (sugars from vegetable origin) stimulates the synthesis of proteins and enzymes essential to the function of the skin barrier (different types of keratin, loricrin, transglutaminase). Aquaxyl stimulates the synthesis of the amino acids of the epidermis natural moisture factor (NMF). The active substance also stimulates the synthesis of l ceramides and other lipids essential for the skin barrier. Aquaxyl stimulates the synthesis of hyaluronic acid in the epidermis and dermis. Niacinamide - Niacinamide has a variety of beneficial effects on the skin: it supports differentiation of the epidermis and the horny layer, stimulates the synthesis of the lipids (ceramides) in the epidermis and supports the skin barrier. Niacinamide stimulates the repair and the remodeling of collagen in the dermis and imparts even skin tone by inhibition of melanosomes transfer to the epidermal cells(melanosomes are the cellular organelles responsible for the synthesis, storage and transport of the pigment melanin) . A light texture day cream with pleasant skin feel. Based on low molecular weight hyaluronic acid and niacinamide. A liquid serum with light and pleasant skin feel. Based on a combination of Low molecular weight hyaluronic acid with niacinamide and Aquaxyl. Rich cream with a pleasant skin feel. Based on low molecular weight hyaluronic acid, niacinamide and magnolia extract. A silky liquid cream with a pleasant skin feel. 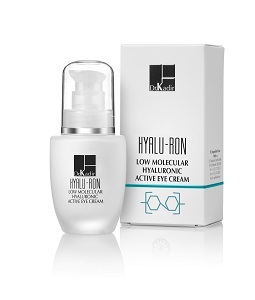 Based on low molecular weight hyaluronic acid and niacinamide.